Other symptoms of dissociative identity disorder may include headache, amnesia, time loss, trances, and "out of body experiences." Some people with dissociative disorders have a tendency toward self-persecution, self-sabotage, and even violence (both self-inflicted and outwardly directed). As an example, someone with dissociative identity disorder may find themselves doing things they wouldn't normally do, such as speeding, reckless driving, or stealing money from their employer or friend, yet they feel they are being compelled to do it. Some describe this feeling as being a passenger in their body rather than the driver. In other words, they truly believe they have no choice. What's the Difference Between Dissociative Identity Disorder and Schizophrenia? Schizophrenia is a severe mental illness involving chronic (or recurrent) psychosis, characterized mainly by hearing or seeing things that aren't real (hallucinations) and thinking or believing things with no basis in reality (delusions). Contrary to popular misconceptions, people with schizophrenia do not have multiple personalities. Delusions are the most common psychotic symptom in schizophrenia; hallucinations, particularly hearing voices, are apparent in about half to three quarters of people with the illness. Suicide is a risk with both schizophrenia and dissociative identity disorder, although patients with multiple personalities have a history of suicide attempts more often than other psychiatric patients. How Does Dissociation Change the Way a Person Experiences Life? Depersonalization. This is a sense of being detached from one's body and is often referred to as an "out-of-body" experience. Derealization. This is the feeling that the world is not real or looking foggy or far away. Amnesia. This is the failure to recall significant personal information that is so extensive it cannot be blamed on ordinary forgetfulness. There can also be micro-amnesias where the discussion engaged in is not remembered, or the content of a meaningful conversation is forgotten from one second to the next. Identity confusion or identity alteration. Both of these involve a sense of confusion about who a person is. An example of identity confusion is when a person has trouble defining the things that interest them in life, or their political or religious or social viewpoints, or their sexual orientation, or their professional ambitions. In addition to these apparent alterations, the person may experience distortions in time, place, and situation. It is now acknowledged that these dissociated states are not fully mature personalities, but rather they represent a disjointed sense of identity. With the amnesia typically associated with dissociative identity disorder, different identity states remember different aspects of autobiographical information. There is usually a "host" personality within the individual, who identifies with the person's real name. Ironically, the host personality is usually unaware of the presence of other personalities. What Roles Do the Different Personalities Play? The distinct personalities may serve diverse roles in helping the individual cope with life's dilemmas. For instance, there's an average of two to four personalities present when the patient is initially diagnosed. 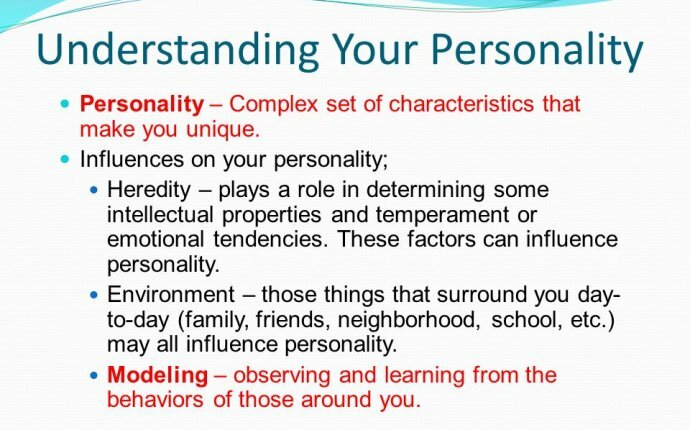 Then there's an average of 13 to 15 personalities that can become known over the course of treatment. While unusual, there have been instances of dissociative identity disorder with more than 100 personalities. Environmental triggers or life events cause a sudden shift from one alter or personality to another.